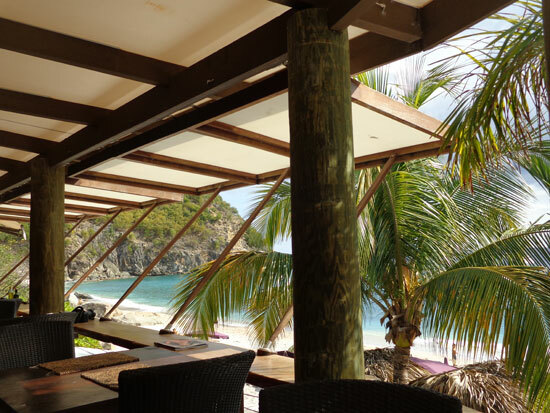 St. Barths is a high-end, celebrity favorite, "see and be seen" Caribbean destination. 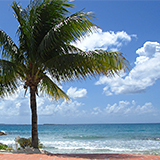 It is generally one of the more expensive islands in the region, using Euros as currency, and known for upscale shopping and a very European atmosphere, more so than a Caribbean atmosphere. 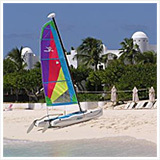 Yachts adorn the bays and charming red-roofed buildings dot the landscape, which is hilly in comparison to Anguilla but not as mountainous as St. Martin or St. Kitts. 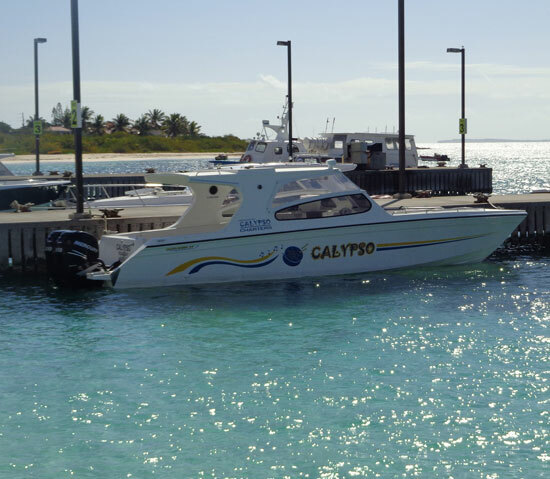 Calypso Charters out of Anguilla has a day-trip service using their pristine speed boats to carry visitors directly from Anguilla to St. Barths and back... all in a day. The service is offered on Tuesdays, sea-permitting. 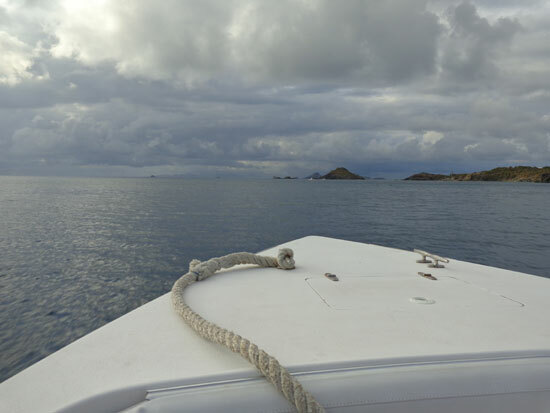 Calypso departs Blowing Point, Anguilla at 9am and reaches Gustavia, St. Barths about an hour later. 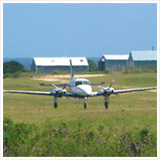 Historically the commute options have been to fly to St. Barths or take a boat there from St. Maarten. Calypso's new direct service now gives visitors and residents the convenience of exploring St. Barths but still resting their heads in quiet, beautiful and friendly, English-speaking Anguilla. 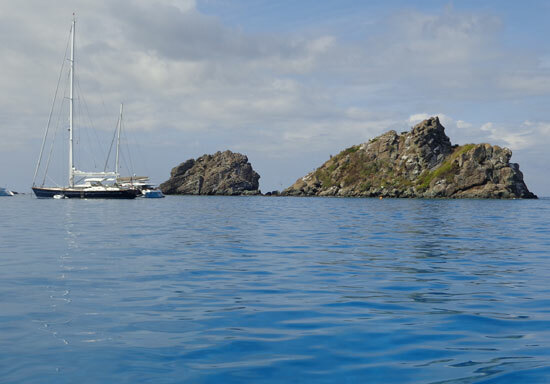 In early March 2013, Nori and I set out to experience the Calypso Charter to St. Barths and report back. When we arrived in Blowing Point, the staff of Calypso was ready for us. We shared our passports, swiftly went through security and were on our way! Our Calypso crew for the day was Brad Pitt and Vince. You read right, "Brad Pitt" was one of the crew. 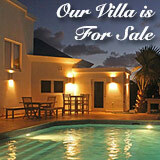 Seems the movie world has a Brad Pitt and so does Anguilla. Nori and I found Brad and Vince to be friendly, professional, communicative, caring, and helpful. 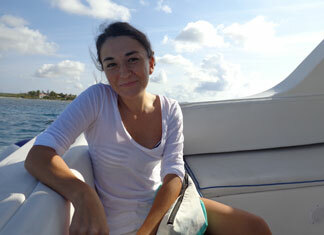 On the way over to St. Barths we sat in the back of the boat. Note: The back of the boat tends to be the least bumpy ride. There were a couple other people in the back end of the boat (where the side seats are covered) and everyone else opted for the front, which is more wide-open to the view, bumpier, and windier. Nori likes a boat ride too! 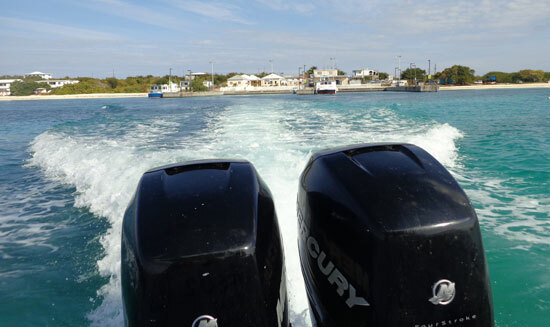 If you love the fun of a speed boat, you'll want to go up front. I might also add here that you should make sure you are comfortable with such a speedy boat ride to begin with. For me, it was one of the highlights of the day trip to St. Barths to begin with, with exception to catching up with my good friend, Nori. 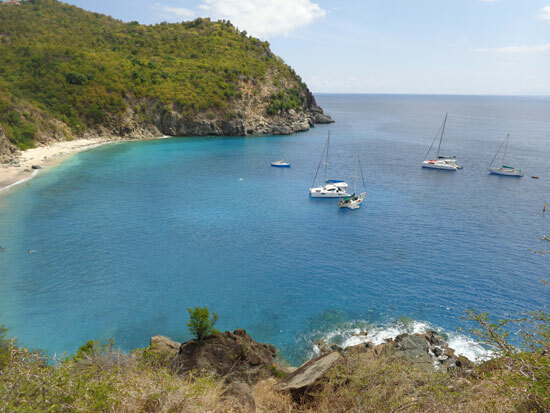 For some, the highlight may be shopping in St. Barths, eating at a French cafe, or exercising their French language skills and not so much the boat ride itself. Consider this before you commit, as you do ride for a little over an hour twice, as it's round trip. As you depart Blowing Point for St. Barths, you will get a nice view of the French side of St. Martin. 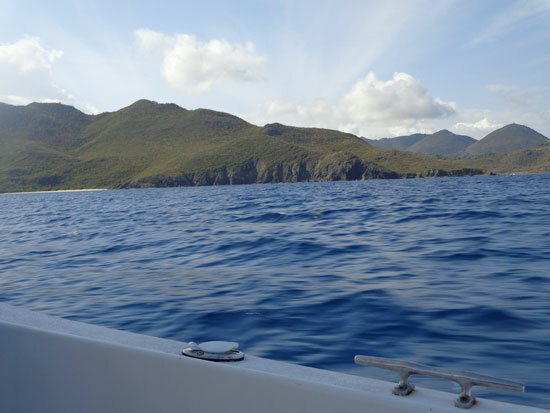 It is a more up close and personal view than when you commute between Blowing Point and Marigot, St. Martin or the St. Maarten airport dock. It is a beauty from this distance! 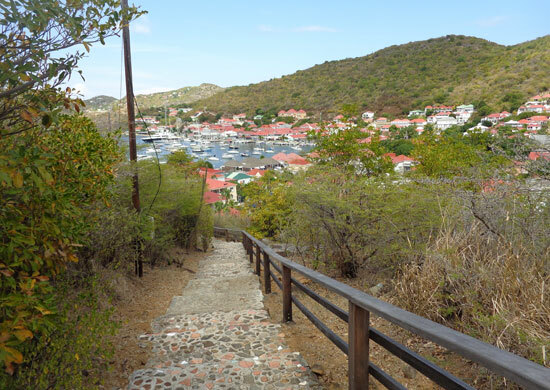 As you get closer to St. Barths, small pieces of land jut out from the sea and make for a dramatic entrance. The day that Nori and I went, the sea was nearly glass on the way over, which is rather rare. As you get closer to Gustavia the boats that were moored (and there are plenty in high season in St. Barths) sat like ghost ships, not moving or making a sound. All was still and very scenic. Although scenic, it made me appreciate Anguilla and it's less intrusive amount of boats. With exception to Sandy Ground in high season and Blowing Point, the water around Anguilla stays so clean as boats, no matter how nice they are, still do contribute to water pollution. 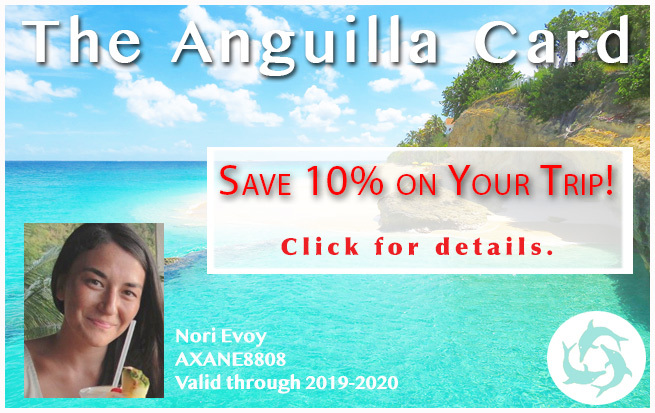 This thought made me even more appreciative for the opportunity to day trip to St. Barths and still call Anguilla home base. 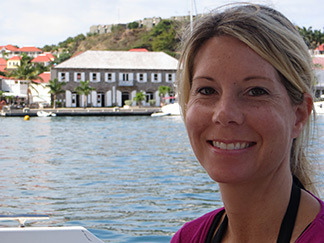 We pulled into the pristine harbour, lined with charming, historic buildings. 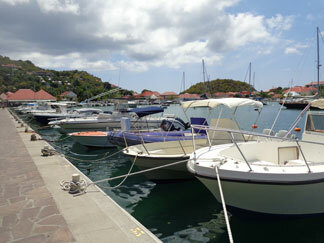 When we reached the port in Gustavia, we each went through immigration (don't forget your passport!). 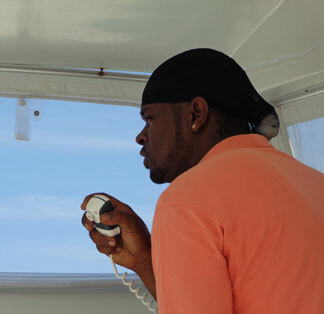 Once we were all through, Vince and Brad showed us where we could exchange currency and directed all of the passengers to the Capitainerie (which is at the port) where we pre-paid our St. Barths departure tax, which is $15 US. It was convenient to get this technicality out of the way and be free to move about as we wished, until time to meet back at the dock at 4:30pm for a 5pm departure back to Anguilla. Since Nori and I had not had breakfast yet, we decided to grab something to eat first. We popped in to Le Repaire, which was down the street to the left of where we exited the port. Nori, having been raised in Montreal, speaks French. I do not. I didn't have to worry much about any language barriers in her presence. Keeping it simple we asked for coffee and a croissant. They were out of croissants so we had some toast. It's difficult to comment on such a simple order but the coffee was just fine and the toast was toast. I will say that we were in love with the butter though! They served it with a small crock of strawberry jam as well. 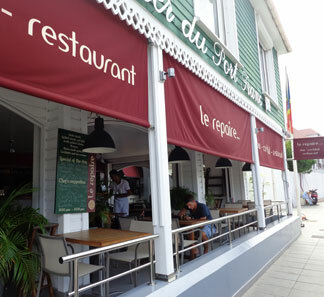 In no time we were properly fueled to explore Gustavia and pop in to shops. Our plan was to walk the streets, see some shops, and then make our way over to Shell Beach. 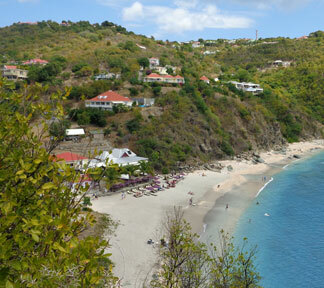 Shell Beach is the closest walkable beach to Gustavia and home to Do Brazil. 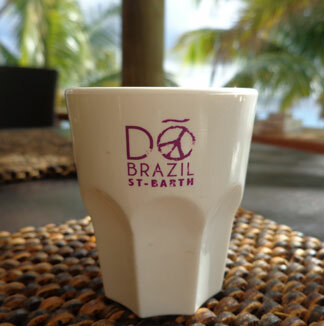 This is truly the only subject I was familiar with regarding St. Barths. 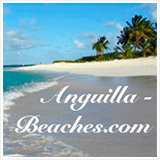 I had met a co-owner of Do Brazil, Xavier Pignet, thanks to my friends in the Anguilla band, British Dependency. A regular, Russian billionaire (who shall remain nameless) to both Anguilla and St. Barths had hired and flown British Dependency over to St. Barths one winter to play for a private party he was holding at Do Brazil. They returned with nothing but compliments and Xavier himself is very lovely. Nori and I discussed our options and agreed that we wanted to see a beach, of course, and eat a nice lunch. Shell Beach and Do Brazil it was! 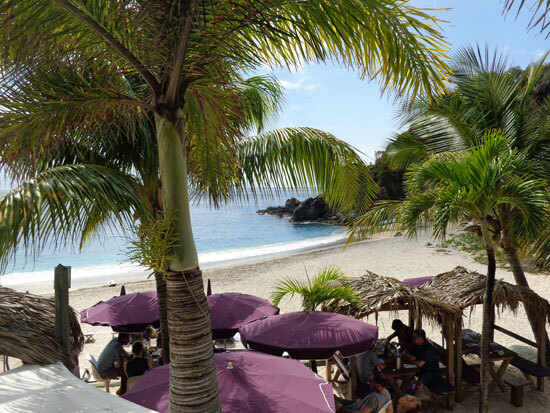 Plus, previously Nori had been to St. Barths for a weekend and had seen some other beaches (including St. Jean where the popular Nikki Beach is located) and wanted to see a new beach. We stopped in to a few shops and walked the higher-elevated street that was East of the main street of Rue de la Republique, but mostly window shopped on our way to Shell Beach. 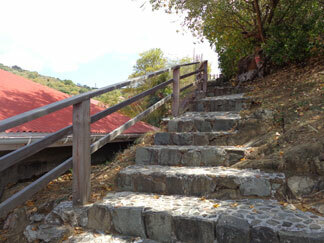 The stone steps to a view! Before reaching Shell Beach we found a large set of stone stairs (at the Southwest end of Rue Des Dinzey). The sign made it seem as though they led to a fort called Fort Carl. Being adventurous people, Nori and I ascended. At the top of the stairs we didn't find much other than a superb view which made the heavy thigh workout worth it. 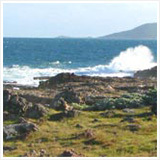 We could see wide open sea to the west and found we were overlooking Shell Beach and Do Brazil. After snapping some photos and catching our breath, we descended. We were back on Rue De Dinzey in minutes, where we took a quick right on Rue Victor Hugo, and another right on Rue Des Normands and before we knew it, we were at Do Brazil. We were so ready for a shady, relaxed lunch. Little did we know what a treat we were in for! We sat in the main dining area which is at the highest elevation away from the beach and quite beautiful and cool. First we ordered drinks and an appetizer to share. Nori went for a gin and tonic and I was intrigued by the drink called Do Brazil, a cachaca drink blended with pineapple, fresh mint, mango and raspberry. 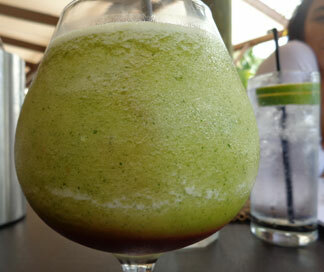 I can safely say this is of the the tastiest and most refreshing drinks I've ever had. It ranks up there with my favorites in Anguilla which is a tall list of tough to beat blends including (and to name a few) Myra's Ginger Colada at da'Vida, the Frozen Mojito from CuisinArt Golf Resort & Spa, the Island Cream Dream from Garvey at The Sunshine Shack, and my very favorite... Joash's Bush Breeze at SandBar. Likewise our appetizer of tuna tartare was excellent. It comes lightly spiced in an avocado mousse and was served in a little glass jar resembling a Mason jar. It was served with some greens and toasted bread. 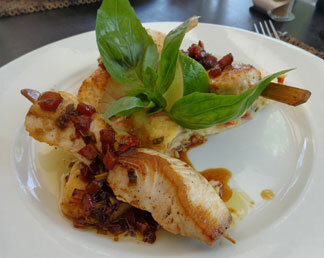 Nori and I perused the menu and without planning it, decided on the same item for lunch which Xavier told us was one of his favorites as well… the Mahi-mahi kebabs in a virgin sauce served over goat cheese and basil mashed potatoes. If these menu descriptions sound good to you, you must see the entire menu as everything is equally enticing. So much about Do Brazil was very enticing. While the beach, and more specifically the sand, did not match up to Anguilla's beaches, it was very inviting in order to cool off after that hike up the hill. Nori and I never made it down to the beach as we sat in the shade of the main restaurant and watched others frolic and play with a couple of high-powered water propulsion toys. There was also a photo shoot taking place on the beach, which looked to be for athletic gear. This was a very active place! The beach was lined with Do Brazil's tented tables that were a couple of levels below the main restaurant level and there were some beach loungers as well. 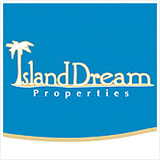 Our service was good and we truly enjoyed the splurge. It was a perfect ending to our morning and afternoon of exploration. Now it was time to make our way back to the port to meet our Calypso folks! Nori thought it best for us to get a taxi back since we had just gorged ourselves on a delicious lunch. Our kind waiter at Do Brazil called us a taxi. The taxi took about 8 minutes to get back to where we needed to be. It cost 10 Euro. 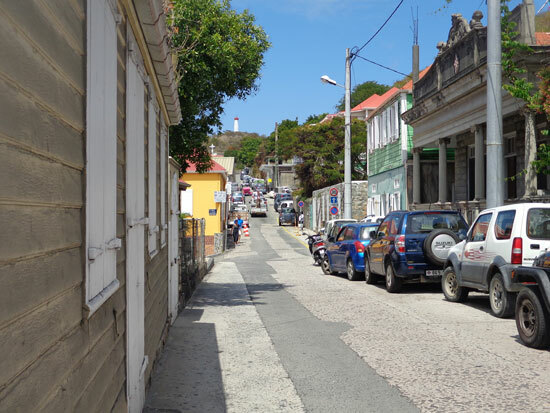 I'm glad I got the chance to ride in a taxi in Gustavia because it may have deterred me from ever renting a car and getting around myself. Not because it seems like a scary endeavor but because it seems like requires constant focus and no good opportunities to look at the rustic buildings... Some of the corners are so sharp and tight and many streets are narrow. It certainly isn't as simple as driving in Anguilla, or even in Manhattan in some cases. As we pulled up to the port, Vince and Brad sat on the wall of the port and were ready and waiting. Vince, Nori and Brad Pitt... ready to get back to Anguilla! We shared our departure tax documentation and boarded Calypso once more. 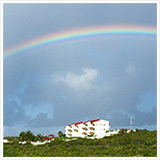 From St. Barths to Anguilla! 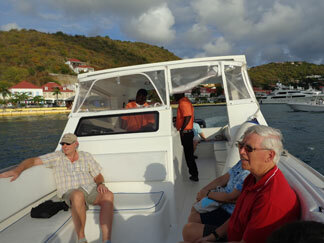 Everyone that had made the journey that day was on time and we were headed back to Anguilla by 5pm. Over the course of the day, the sea had become a little more choppy in comparison to the morning commute. We could see some dark clouds near St. Martin and passing rain… much like you see in the tropics on a regular basis, nothing alarming. Nori and I chose to sit up front on the way back to Anguilla. This also would free-up some of the seating in the rear of the boat which would be less bumpy as we were the youngest people on the excursion. A couple of people joined us up front but then some moved to center as we passed a light rain cloud. Nori and I stayed put. There was enough room for everyone to be guarded from the elements, but it wasn't heavy enough to tempt us to move. The ride became a bit bumpier but we were enjoying ourselves and everyone else seemed alright as well. At one point the lady sitting up front with us said her back began hurting. The crew stopped the boat and both Vince and Brad helped her to stand and move toward the back of the boat. She seemed fine and when we reached Blowing Point she said she was just achey. We reminded her that she was in a great place for that and persuaded her to get in to the sea the next morning. I can't think of many things more healing for a back than the sea! 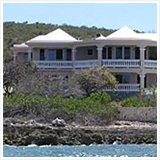 We had reached Anguilla around 6pm and were very happy to be back on our favorite island after a delightful excursion and excellent experience on Calypso. 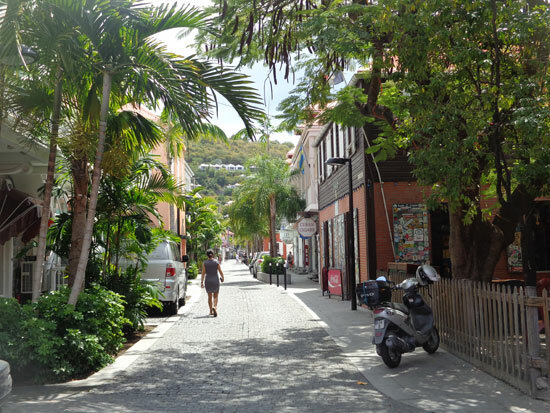 Nori and I were very pleased with our day and recommend exploring Gustavia and having a nice lunch at Do Brazil. Many thanks to Calypso and crew for a safe and fun excursion! 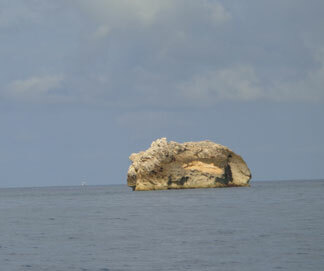 Calypso Charters also provide excursions to off island cays (Dog Island, Sandy Island, etc. 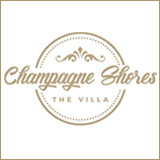 ), trips to St. Martin, and shuttles to and from Princess Juliana Airport in St. Maarten ($65 per person one way).